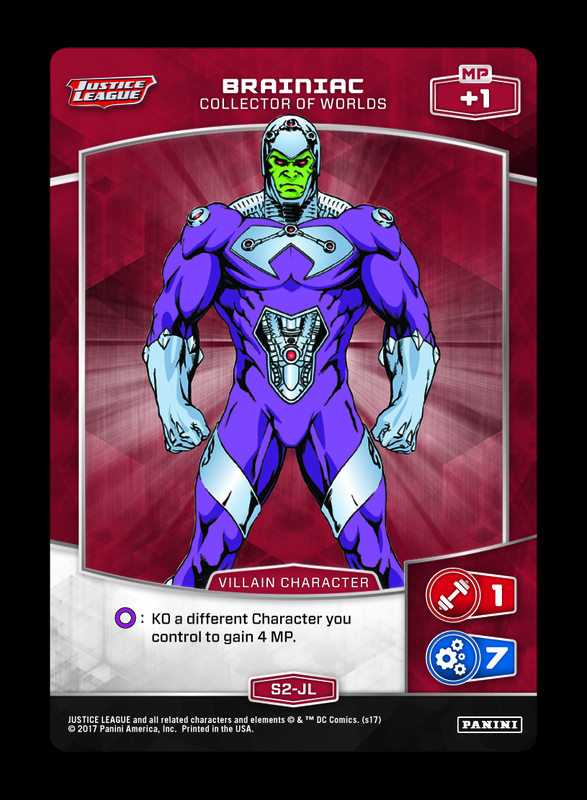 MetaX Friday Wrap Up: Self-KO Effects! 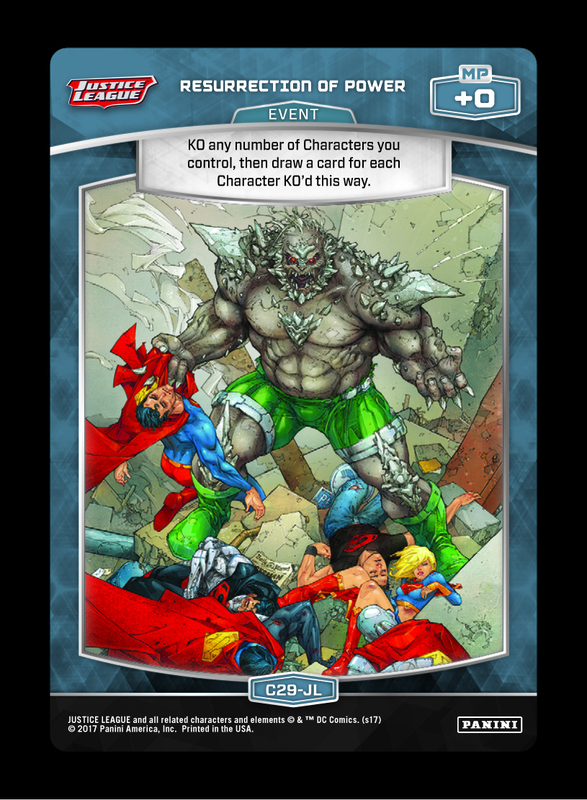 Today’s post investigates cards that can clear your own Characters off the board – click below for the full breakdown! A final reminder that the newest Tournament Kits are now available, and stores can register for regular shipments by contacting op@paniniamerica.net. These kits are free of charge to any location running MetaX events, so make sure to let your store know they are available! You can find a list of stores in your area here. Since the MetaX engine allows you to only control up to three Characters at a time, effects that clear out your own Characters can be extremely helpful. Opening up space on your board can allow for a crucial “when played” effect to be used, and being able to consistently drop Characters is the easiest path to steady MP. Depending on the direction of your deck, you might need access to several effects like this – or none at all! 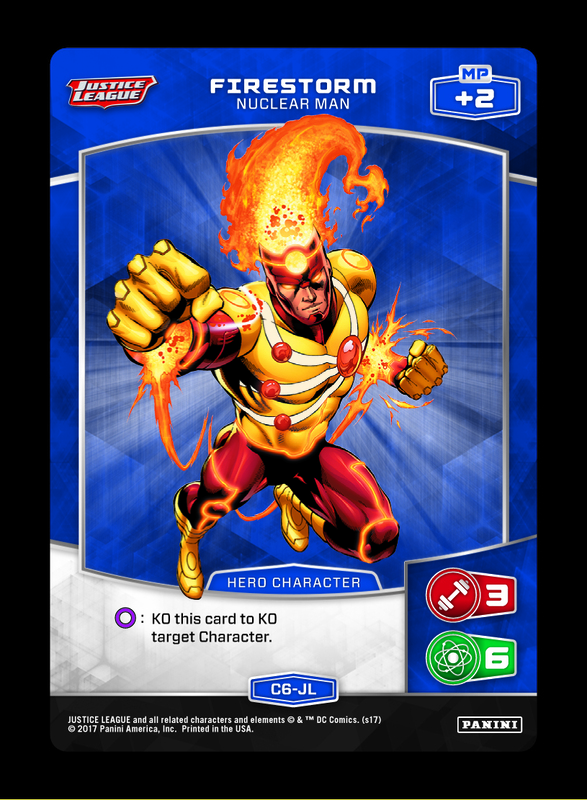 Firestorm – already good at opening up a spot by KO’ing himself, don’t overlook rare scenarios where you should target a teammate with this effect. 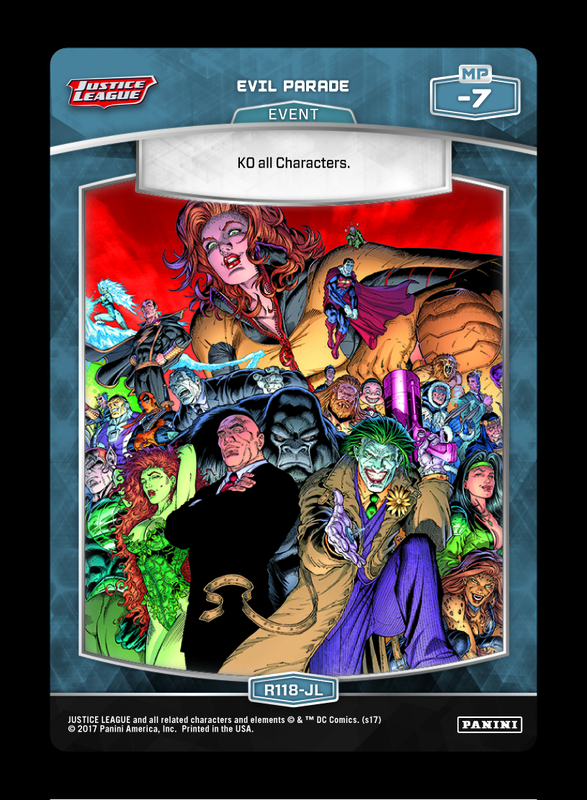 Resurrection of Power – an immediate, zero cost solution to clearing out Characters – with draw power upside. 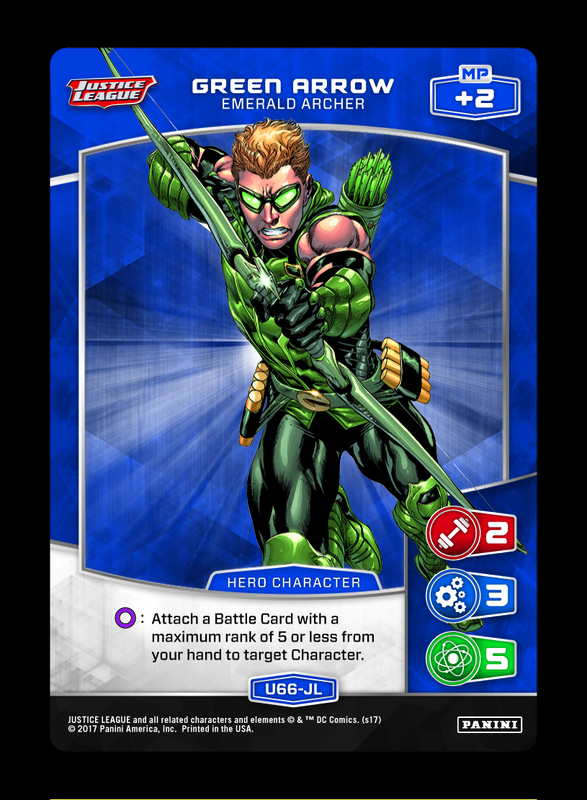 Green Arrow – in a pinch, Green Arrow can stop shooting at the opponent and instead pick off one of your own Characters. 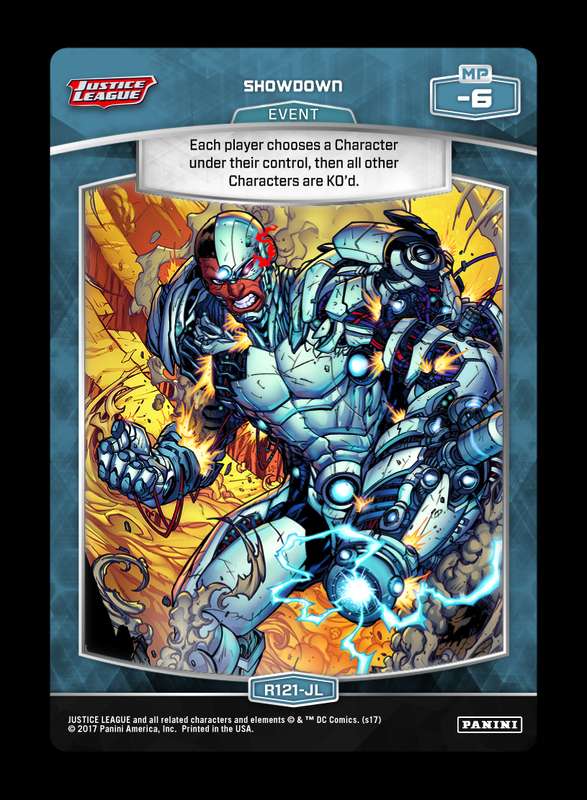 Brainiac – a reusable source of self-removal, Brainiac is well-suited for various Control builds. 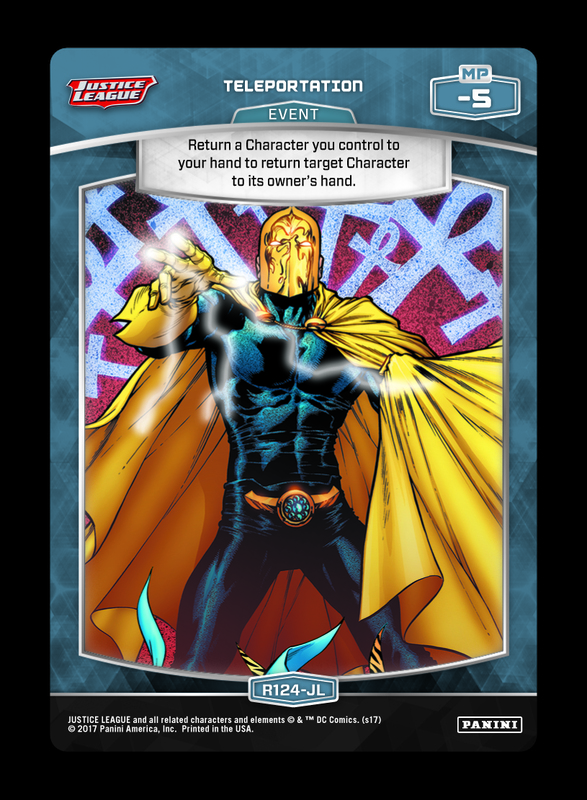 Unexpected Turnaround – returning this much of your board at once generally works well with Blue Beetle to quickly rebuild, but nearly any build with enough MP can benefit from this effect. 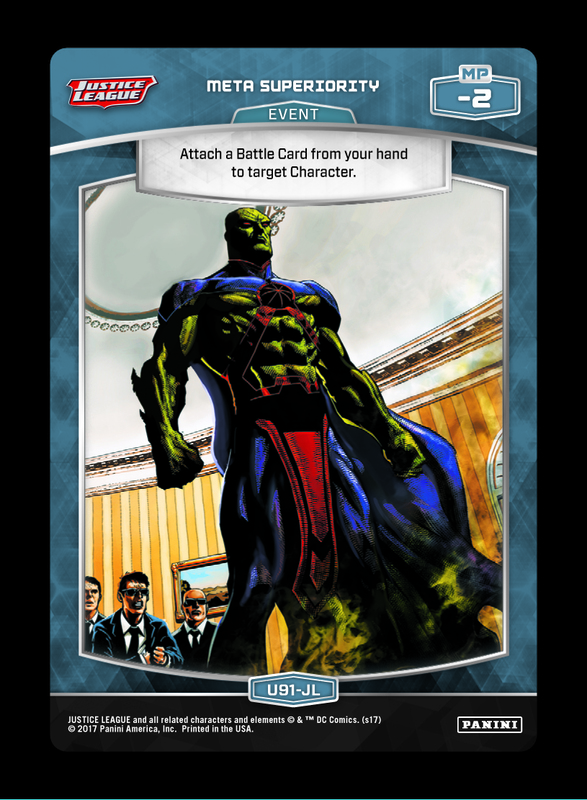 Evil Parade – similar to unexpected turnaround, but thrives more with Ra’s Al Ghul or decks that already had a low Character count in the first place. 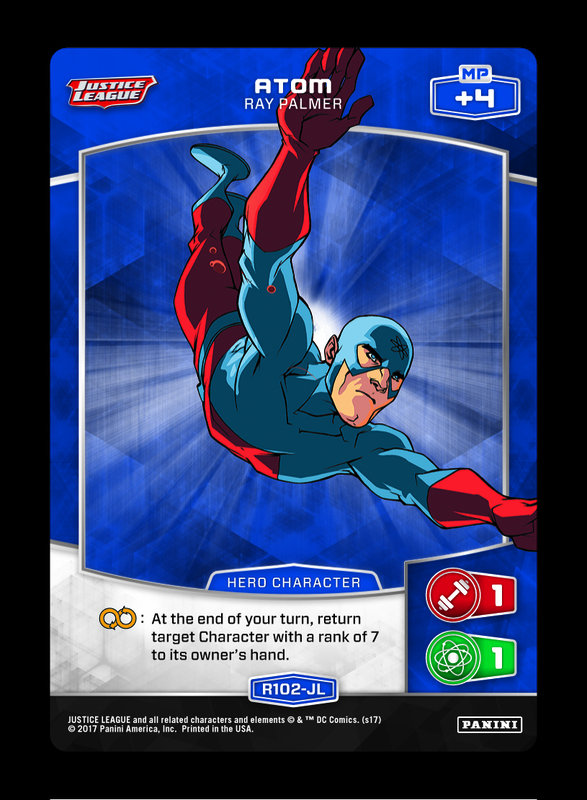 Atom – when not being used as tech against the opponent, Atom is often paired with other “when played” Rank 7 effects to enable recurring usage. 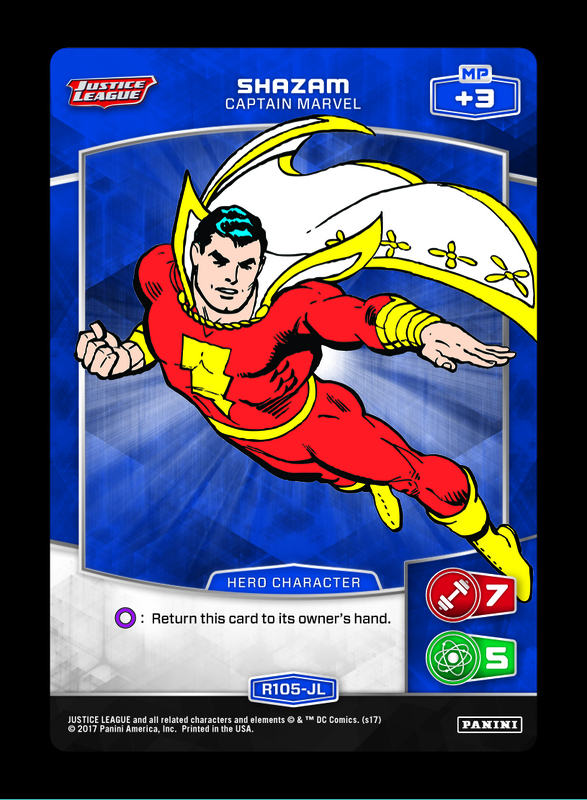 Shazam – the granddaddy of Character zone manipulation – though oftentimes he is only opening up room to replay himself! 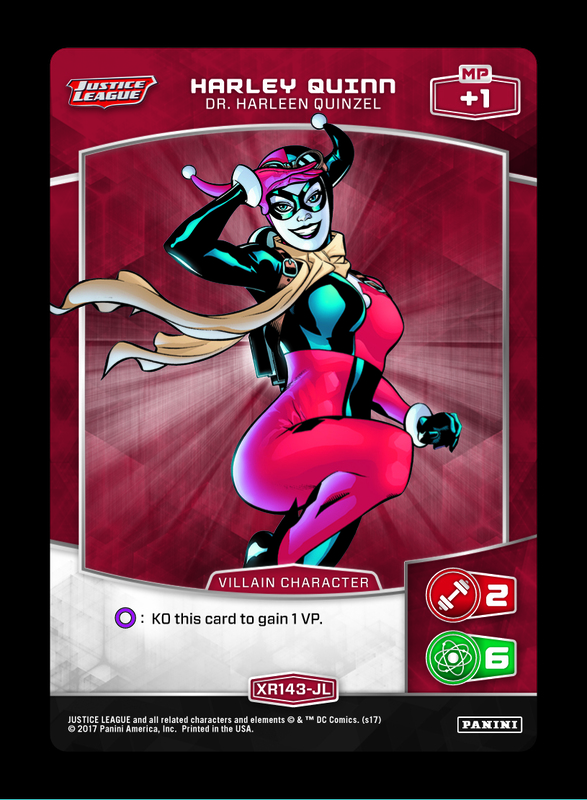 Harley Quinn (XR) – waiting a turn to Push and then KO’ing herself is a steep cost (even for a VP), but this is another effect that can make space for a Character on demand. 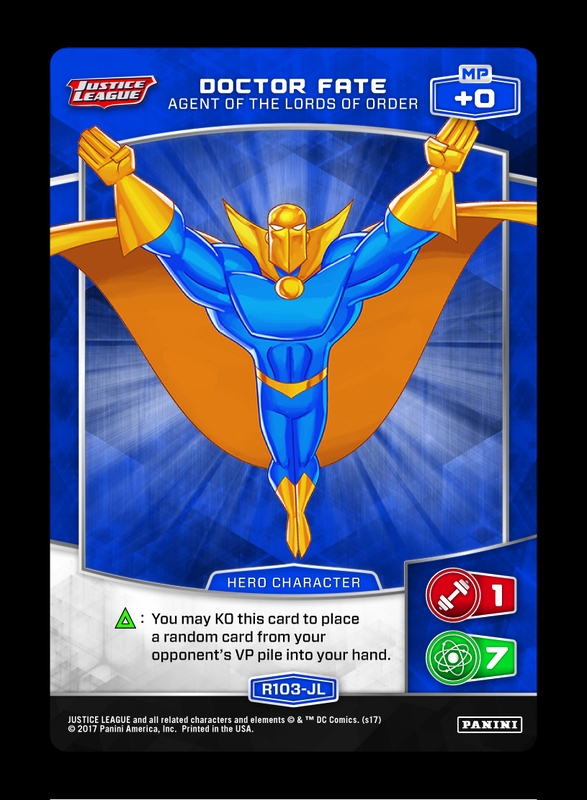 Showdown – this opens multiple slots for the opponent as well, but it can be advantageous depending on the strength of your lineup. 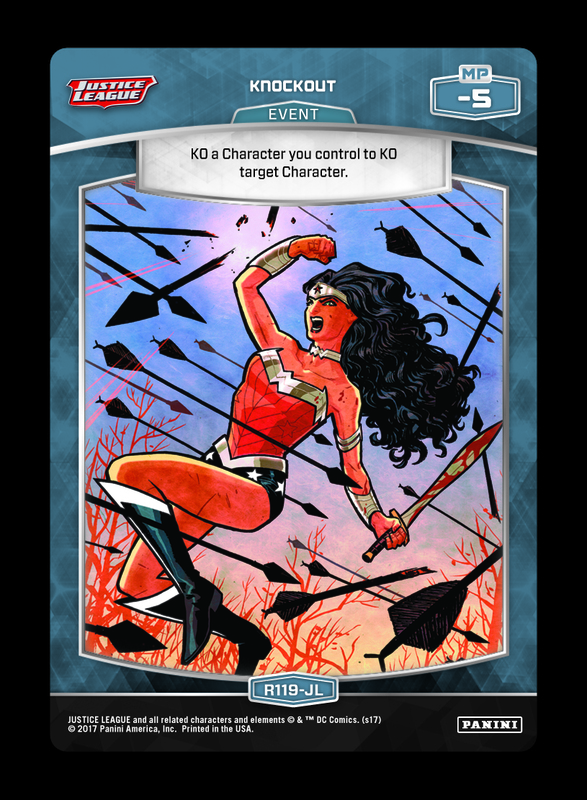 Knockout – in many cases, the “cost” of this card can be timed as a benefit. Teleportation – similar to Knockout, and sometimes offer even higher value through MP generation, pseudo-healing, re-use of a key “when played” effect, etc. With Friends Like These – requires more finesse to utilize than board wipes like Unexpected Turnaround and Evil Parade, but with great potential to become one-sided. Along with the release of the Organized Play schedule/details, you can also expect some slick new tournament software in the near future. Meanwhile, if you’re a fan of free stuff, our next promoted Facebook post will include a giveaway contest – look for details on the blog next week! Finally, don’t forget that Green Lantern and Attack on Titan are up next. 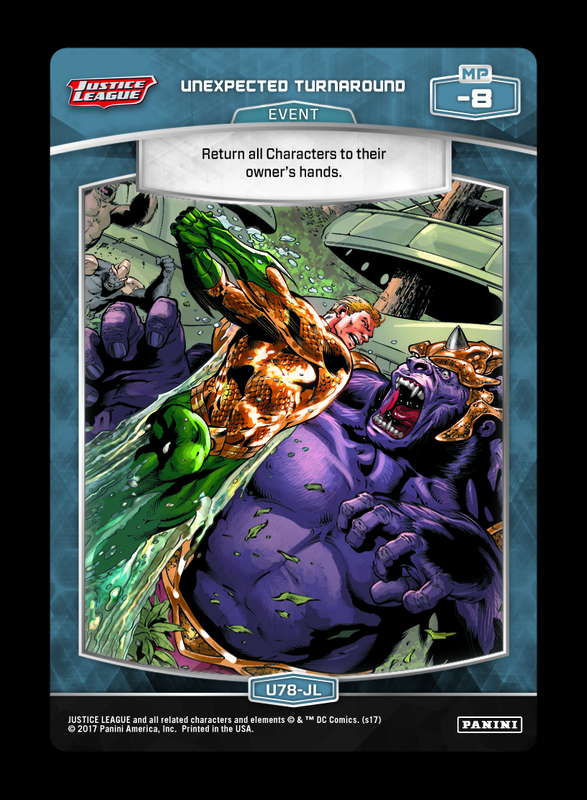 Be sure to watch for preliminary information about Green Lantern’s release in the coming weeks, and spoiler season will be upon us sooner than you think! 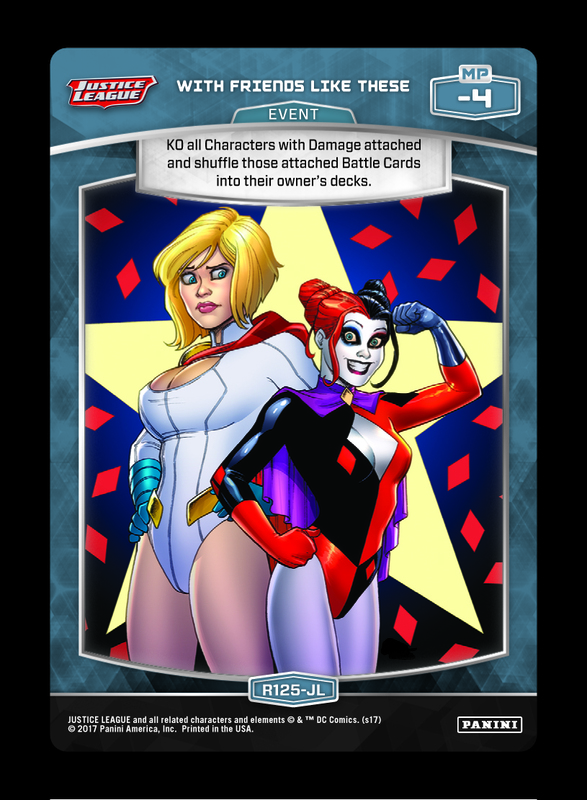 Tuesday Tidbits: FAQs and Current Decks!